The variety of jobs held by different people across different walks in life helps create a thriving and dynamic economy. And one of the most in-demand jobs in developed countries today are those that deal with specialized manual labor. So if you are a business owner or a freelancer who wants to take part in this booming trade, you need to seriously consider print advertising as part of your service contracting company’s small business plan. You may also see flyer templates. 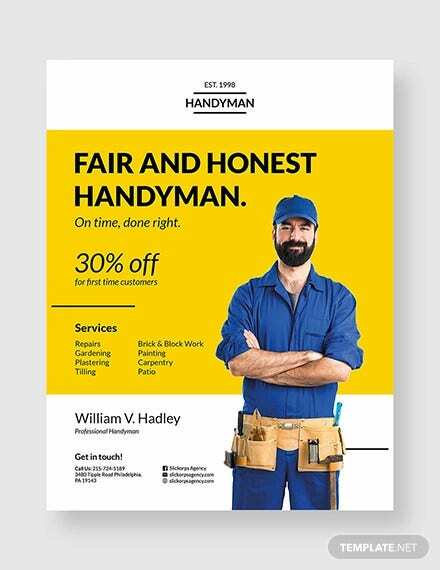 In this article, we will teach you the importance of using printable flyers and how to use them for your business as a contractor. In addition, we are also providing real-life examples of flyer templates that can be used for this specific purpose. Check out the rest of the article to learn more about this method of a business advertising plan. 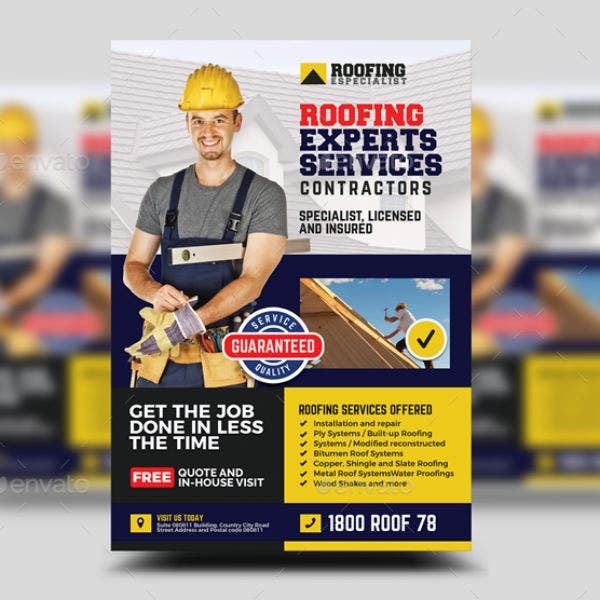 What you will notice first when reading this article are the numerous examples of contractor flyer templates that you can readily use as part of your business marketing plan. 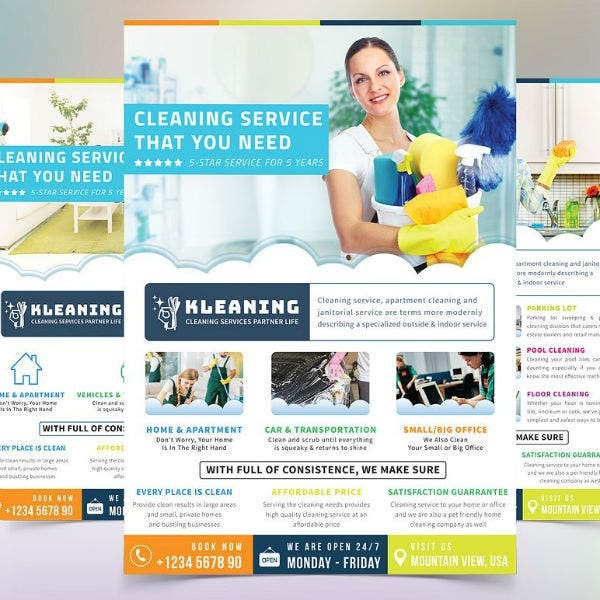 We do advise you to continue reading until the end of this article so that you will learn more about how to choose the best flyer template to match your own business. 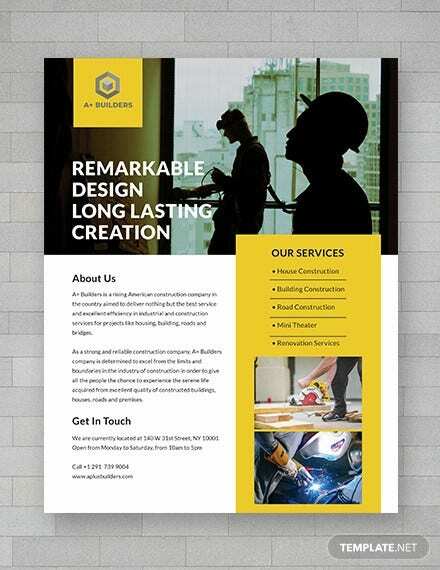 Take a look at each contractor flyer template and be inspired by them. Also, take note that most of these printable templates are available either as Adobe Illustrator or Photoshop template files. This means that you will need to have the correct graphic design software program in order to edit them later on. For example, if you have chosen and purchased a PSD template files, you will need to have Adobe Photoshop installed on your computer in order to open and edit this kind of flyer template. What is a Contractor Flyer? First things first. A contractor is a person or a group of people who arranges jobs or projects to another person. In skilled industries, contractors usually arrange construction and building jobs. 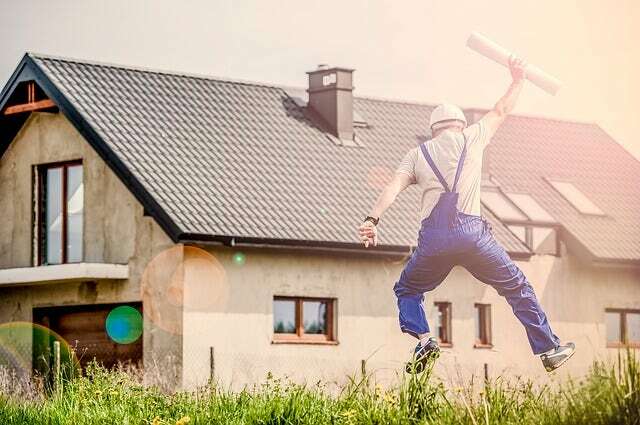 In a smaller scale like that in local communities, a contractor acts as the middleman between skilled workers and homeowners or business owners. Sometimes, the skilled worker him/herself may also act as the main lead contractor of a service providing firm or company. 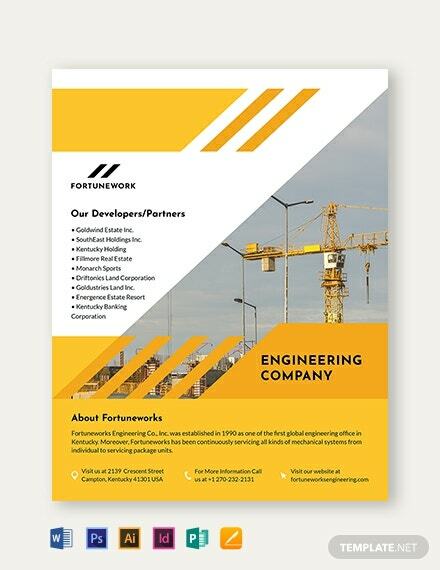 You may also see construction company flyers. Service contracting companies usually have skilled workers on staff or on retainer. These workers can do a variety of jobs including being house painters, carpenters, roofing specialists, plumbers, drivers, cooks, janitorial services, or construction workers. 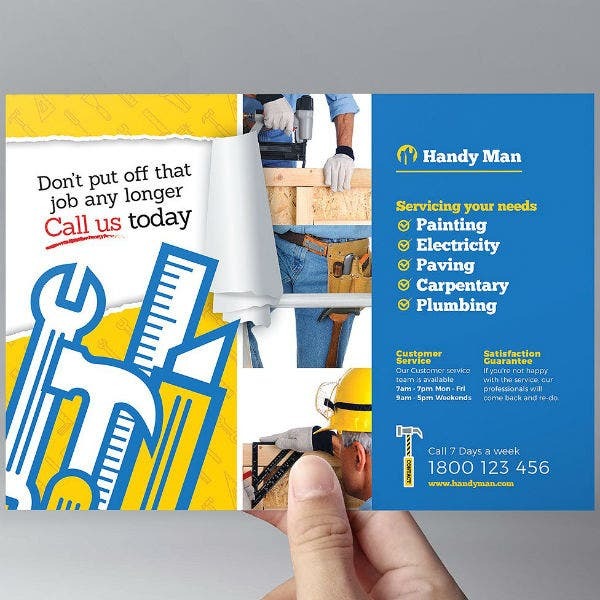 So if you are operating a service contracting business, one way to tell the general public about your services is by distributing printed flyers. 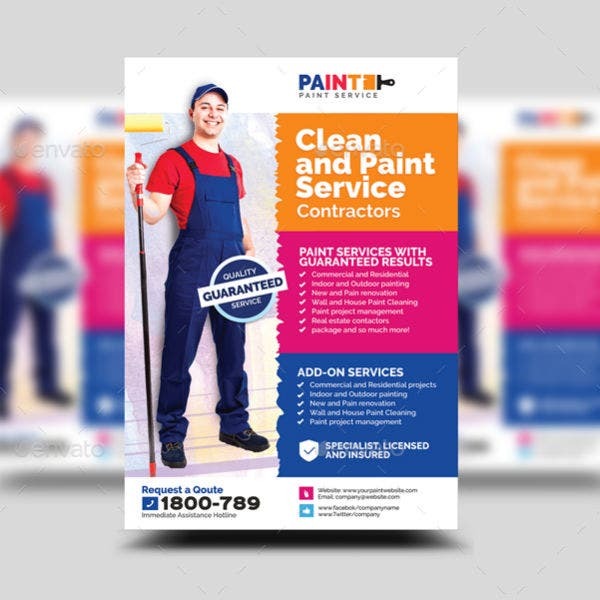 Printed flyers that serve mainly to attract customers for a service contract firm are called contractor flyers. This form of printed advertising works just like a regular promotional flyer. It is used as a way to inform and let the customers know about the different services that a company offers or provides. 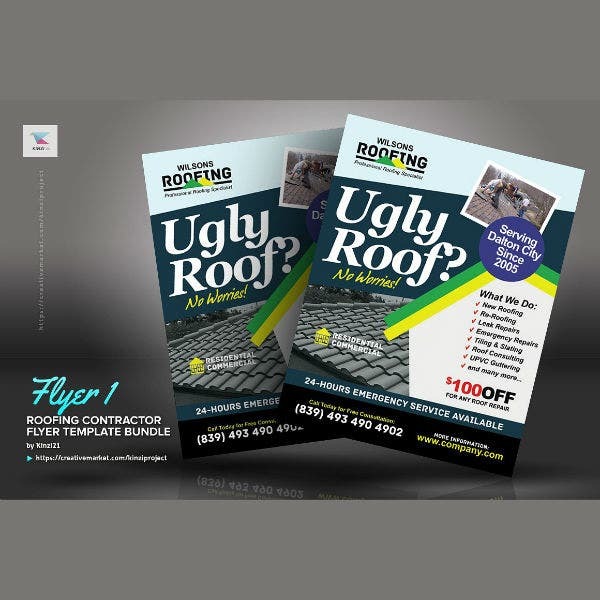 Contractor flyers are sometimes also called company flyers. 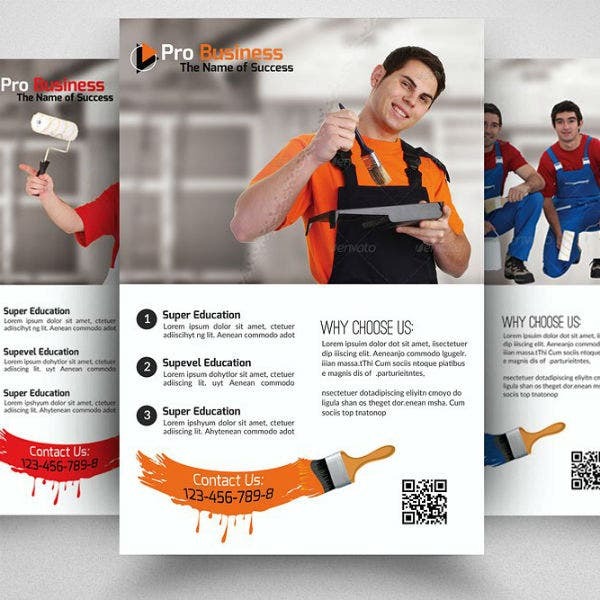 In the digital age, one of the easiest way to create a contractor flyer is through the use of pre-made flyer templates. These are digital files that will contain all the necessary graphic design elements needed to create a good flyer. Make sure to continue reading this article for more tips on how to choose a contractor flyer for your business. 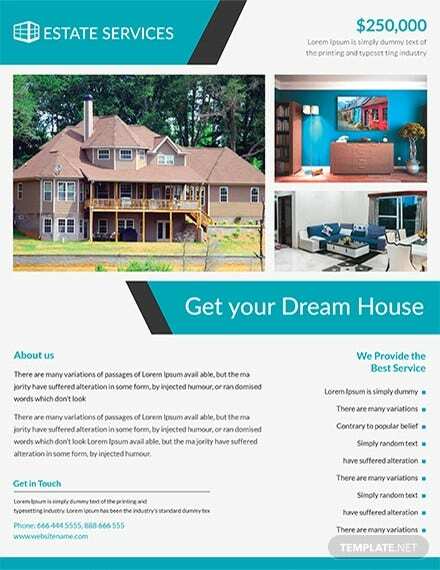 Upon seeing the numerous contractor flyer templates in the article, you may be confused as to what these templates are really for. 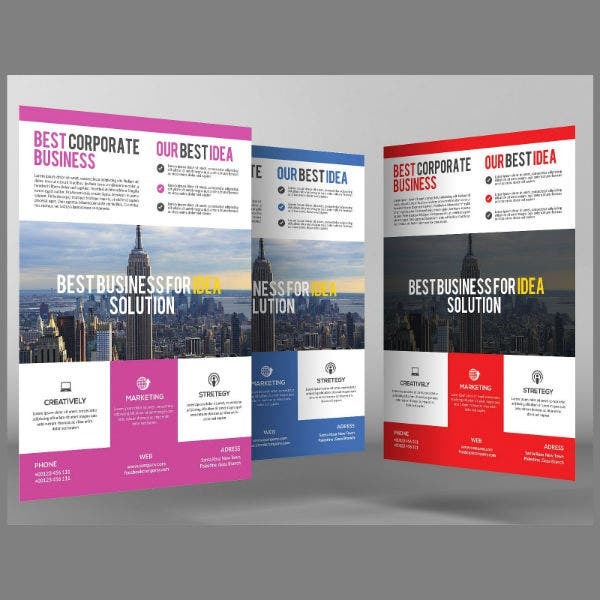 That is why we have prepared a list of the top advantages of using these flyer templates and how they can help your small business. Check them out below. When you start a new business in the modern age, you need to be very proactive when it comes to spreading the word about your business. And using contractor flyer designs is one easy way to do this. 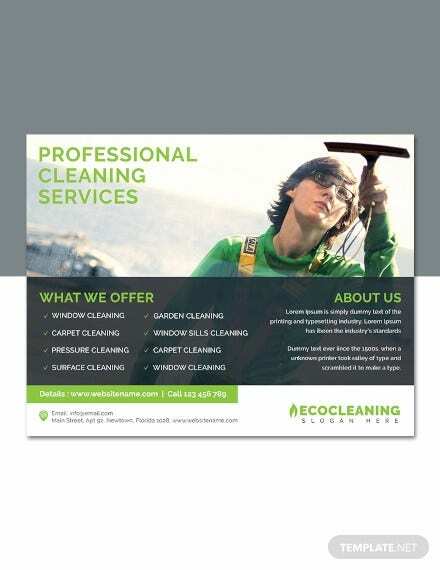 Flyers can be easily distributed to your target customers within a specific area where your business operates. 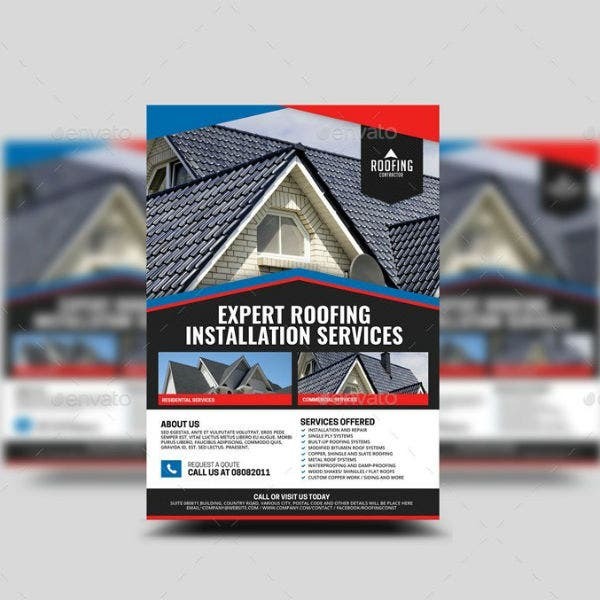 In some cases, if you want to attract customers for their specific needs, you may opt to create niched down flyers like roofing flyers, plumber flyers, or construction flyers. 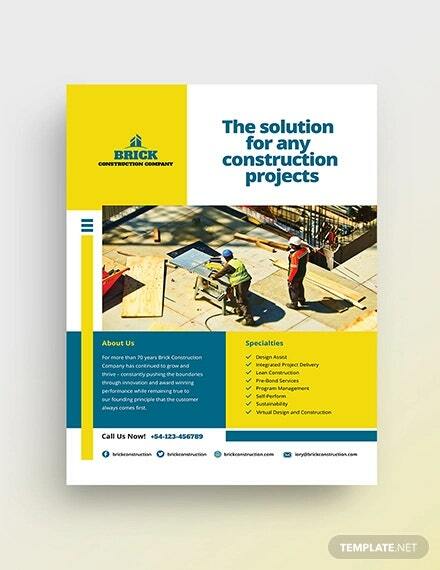 In addition, distributing contractor flyers is also an effective way to get more customers if you are expanding your services to a new location or if you are just offering a wider range of services. Try this out and you will be seeing results soon. Also, check out this article on how small business can boost their own marketing process. 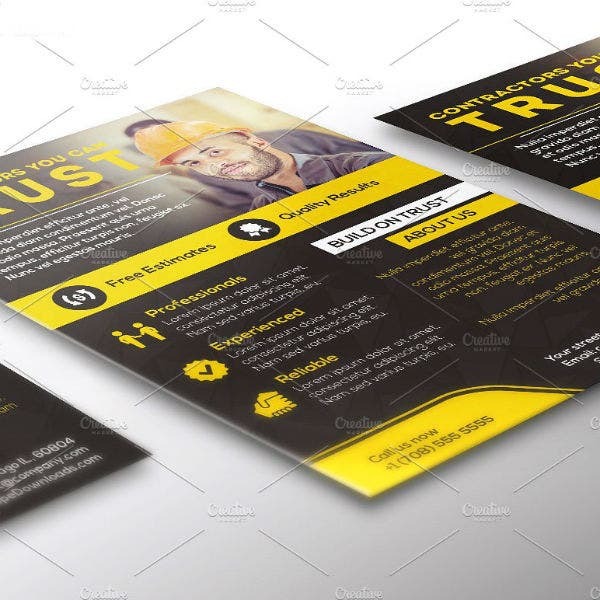 Another reason why it makes sense to use contractor flyer templates is that they allow you to improve your relationship with your current and future customers. Think of it as an investment in helping increase customer engagement. 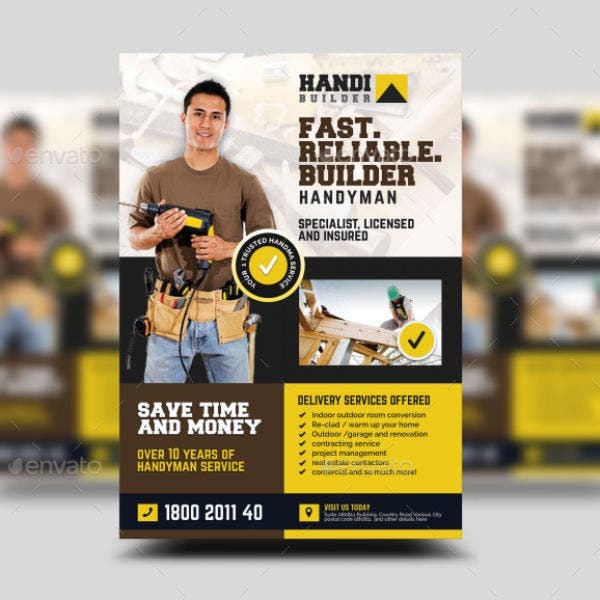 You may also see handyman flyer templates. 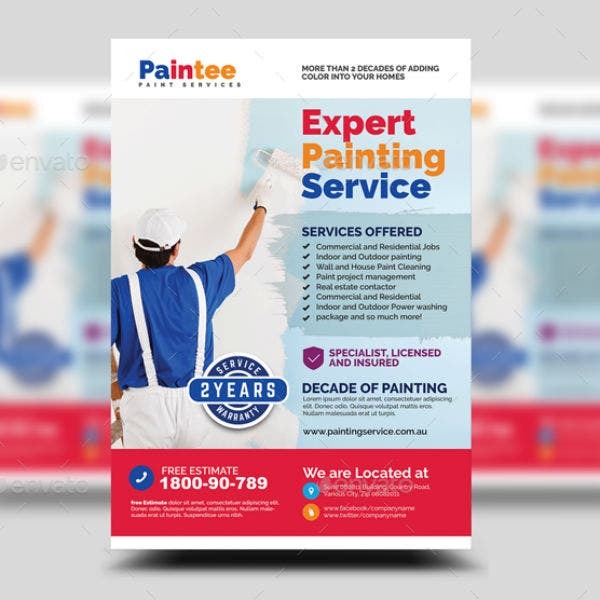 To illustrate, when a customer sees that you are regularly promoting your business (through the use of printable flyers), they know that your business is active and that you are only one phone call away when they need you. 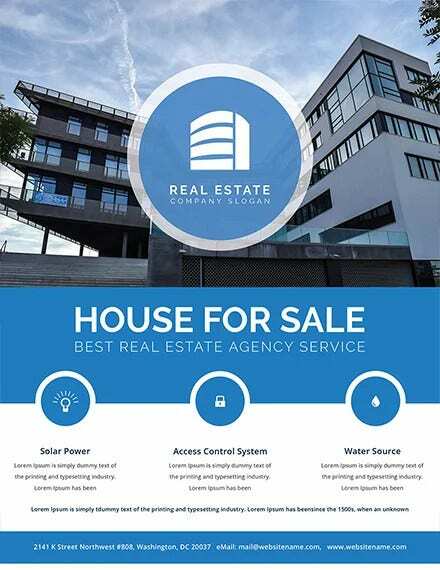 The physical flyer that you give away to customers will act as a reminder and this can be a good way to earn referrals from your existing pool of customers. When running any kind of business, whether it is a large corporation or just a small side hustle, you need always need to know who your customers are, how to get them to use your services, what are their preferences in service contracts, and the like. And to this, you need to conduct a market research. One simple way to do this is by creating flyers and including a simple survey component on the flyer template. Customers may opt to answer it or not. When done right, you and your team will have a solid market research report at the end of the day and you can use this to further develop business strategies to help advance your company. Advertising a business takes a lot of money. This is often the number one reason why most small and medium-sized small businesses do not actively promote their services. But today, that is slowly changing. 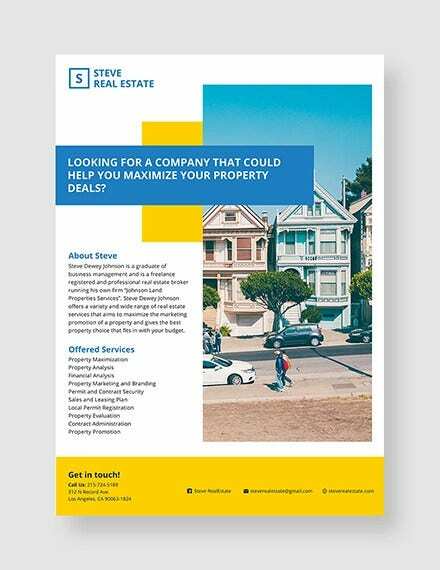 Business owners can now opt for affordably priced advertising solutions in the form of printed flyers and brochure templates. Using these cost-effective alternatives will allow you to let more people know about your services without necessarily going bankrupt. But as with any kind of marketing campaign, make sure that you create a sound marketing plan before you execute your ideas. This way you will have lesser room for mistakes and your business will more likely succeed with this new advertising strategy. 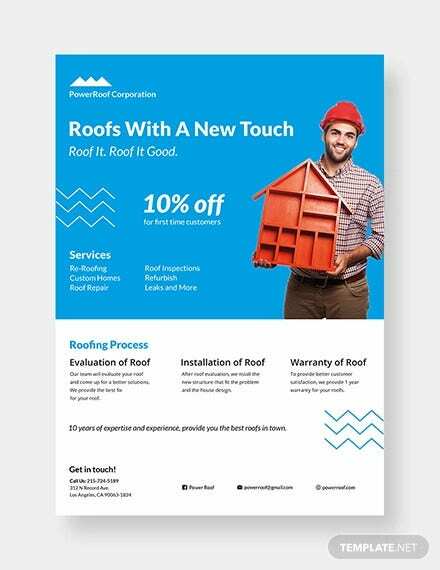 Another practical reason why it makes sense to use contract flyer templates is that they allow you to get fast results in terms of customer leads. This happens because once customers see the services your offer and your contact information on the flyer, they can reach out and schedule appointments right away. This strategy can also be more effective especially if your contractor flyers are distributed by real skilled workers themselves. And, if they could answer a few questions from a prospective customer, this customer is more likely to use your services in the near future. Isn’t that just great? You may also see word business flyers. Those are the top five reasons why it makes sense to use contractor flyers. Of course, there are a lot more positive things associated with their use but we have only shared the most useful ones. 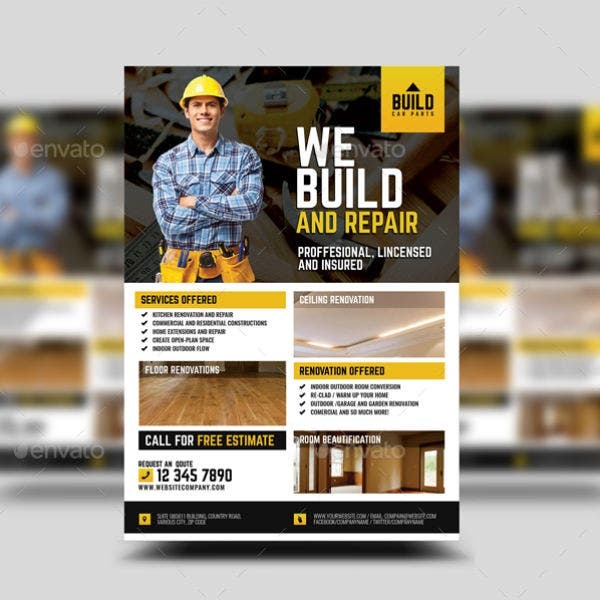 If you are a business owner or a skilled worker yourself, you will certainly benefit from using a simple flyer template. You do not have to print out hundreds of flyers nor use expensive printing methods. For starters, you may even photocopy a final contractor flyer template. This will allow you to save time and you will also get more out of your money. After printing, make sure that you distribute your flyers in strategic locations. Or, if allowed, you may even stick these flyers on walls and as a free notice letter on public announcement boards. Just be creative and you will see the fruits of your hard work soon. 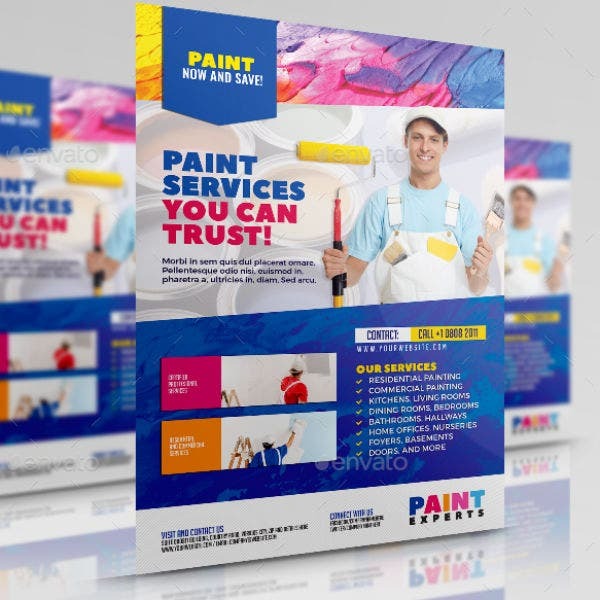 This article is filled with helpful advice on the importance of printable flyer templates for any kind of business and much more so if you are operating a service contracting firm. 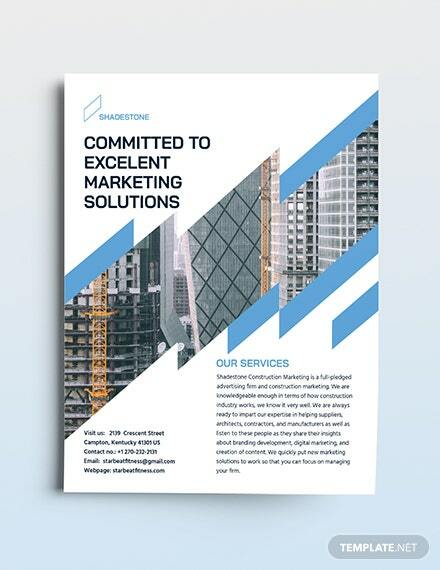 Just remember, when customizing your own contractor flyer template, always make sure that you stick to your business’ core values and mission. 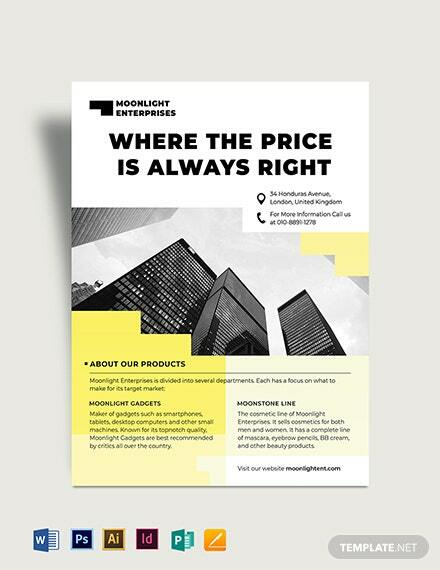 If done right, you will be able to choose or create a flyer template design that will complement your business goals and your customers will see this as a unique branding identity design for your company. If you are a contractor, you may also benefit from contractor receipt templates. 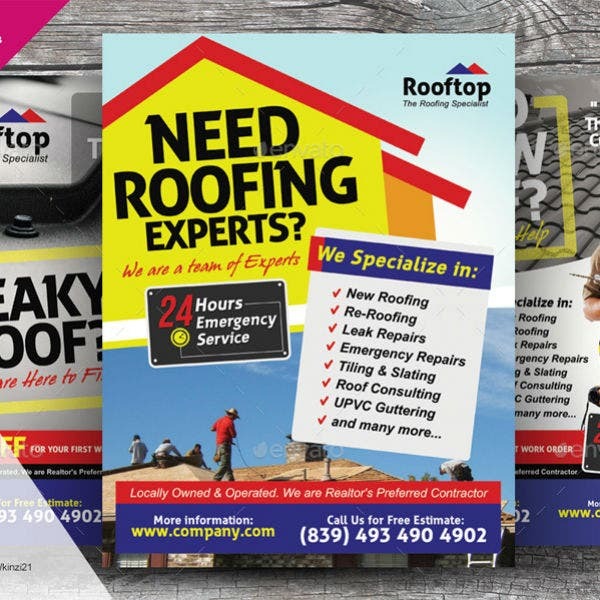 Also, if you want to take a look at other kinds of flyer template designs for various businesses and events, check out the rest of our website. And if it isn’t too much, do not forget to share this rich research of an article with your email list and social media followers, friends, and other colleagues.